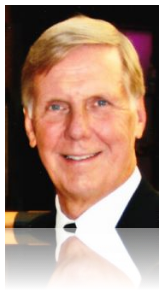 Kent Duane Downey, 68, passed away on Thursday, February 4, 2016 after four short weeks of being diagnosed with metastatic melanoma. While Kent bravely and courageously fought this rare and very aggressive cancer, he maintained his positive attitude and outlook for his family despite the overreaching odds and deflating news that treatment was proving to be ineffective. Born September 3, 1947 to Marthetta and Willis Downey of Indianapolis, Kent was a life-long resident of the Indianapolis area. After graduating from Ben Davis High School in 1965, he continued his education at Purdue where he pursued a degree in Civil Engineering. His membership in the Purdue Band and love of his “Boilers” continued throughout his life. In 1974, Kent began what would be his professional home at United Consulting Engineers. He was a Design Engineer in the Road Department and soon became the Department Manager. Enhancing his engineering expertise, he earned his Professional Land Surveyors license. In addition to becoming a partner with UCE, he was an active participant and board member of American Council of Engineering Companies, served on the Board of Directors for ACEC, was President of Consulting Engineers of Indiana for a year, received Consulting Engineer of the Year Award, and proudly served as President of UCE for eleven years. Although Kent’s career was filled with many notable professional accomplishments, he would tell you that he is most proud of his family. He is survived by, Kathy, his beloved wife of 43 years; daughter, Karry, and her husband Zack Casey, their children Lily & Kayla; son, Kevin, and his wife, Lisa Downey, their children Shane, Quinn & Maeve. He is also survived by his brother, Mark Downey, wife Kathy, and their children Brian & Brent. Kent was a loving husband, father, and friend to so many. 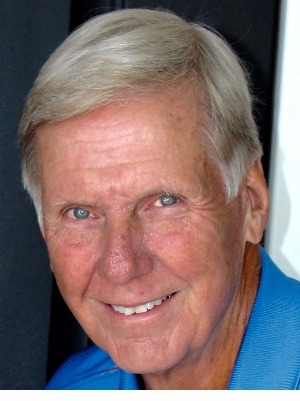 When Kent was not attending one of his grandkids’ birthdays, recitals, baseball games, soccer games, and various other activities; he enjoyed golfing, playing euchre with friends, cheering on the Colts, rooting for the Boilermakers, catching a NASCAR race, and spending quality time with his wife and family. His kindness, generosity, and physical presence will be deeply missed, but forever remembered. A celebration of Kent’s life will be held at St. Luke’s United Methodist Church, 100 West 86th, Indianapolis, IN 46260, on Saturday, February 13, 2016. Open visitation with friends and family will be from 12:00-2:00pm, Celebration of Life Service immediately follows at 2:00pm. Ocular Melanoma is a rare disease and research funding is very limited. But OMF is changing this. Contributions in Kent’s honor can be sent to OMF to aid us in our search to SEE A CURE for eye cancer by clicking on this link secure donation or sending a check to OMF at 1717 K St NW Suite 900 Washington, DC 20006. 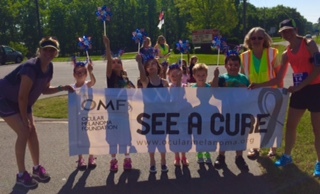 If you have any questions or want further information about Warrior fundraising with OMF, please email warriors@ocularmelanoma.org.